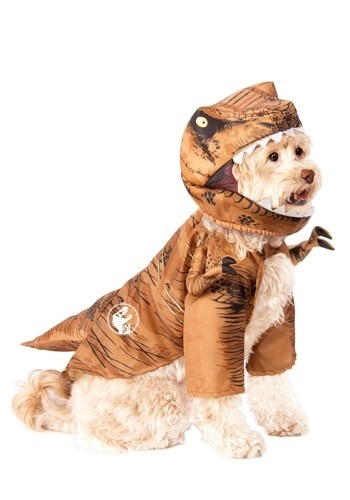 This year is probably going to be the best ever for your dog, because there are an array of new Halloween dog costumes out! 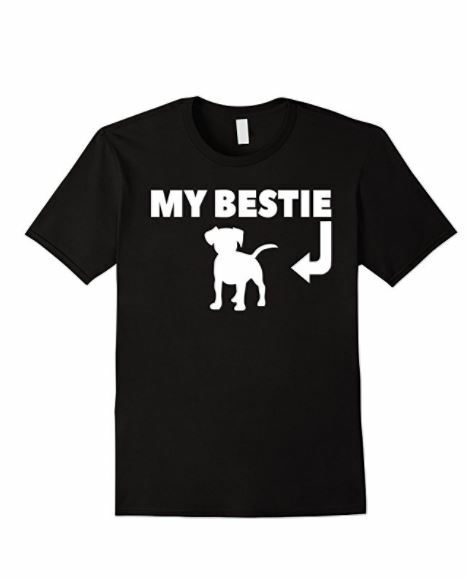 From superhero costumes to epic hilarious ensembles, there’s something for every dog lover here! 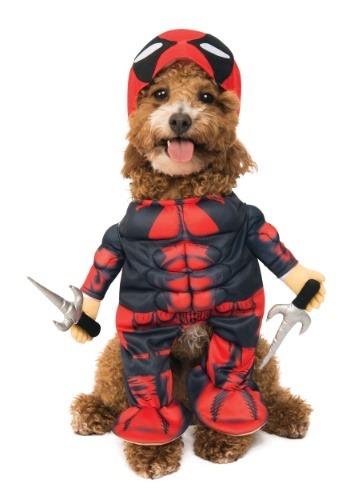 Imagine how adorable your dog will look in a caterpillar costume or a Deadpool getup! Read on for our favorite new Halloween dog costumes for 2018! If you have kids (or even know someone with kids! ), you know that Paw Patrol is an incredibly popular show right now for tiny tots. The television series that airs in the U.S. and Canada made its debut in 2013. The series focuses on Ryder and his team of search & rescue dogs. Skye is a female cockapoo aviator who has appeared in every Paw Patrol episode so far. 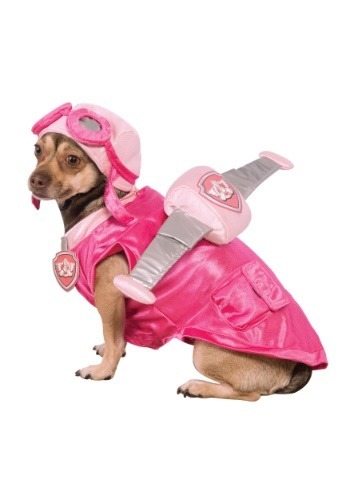 This costume comes with a jacket, pup pack with wings and hat. 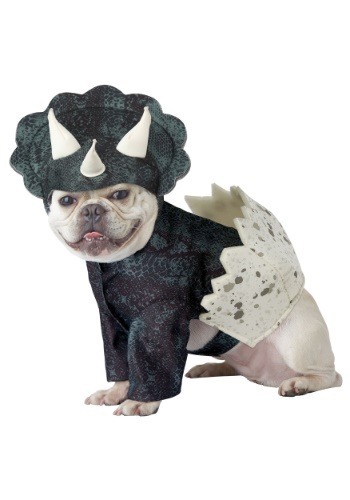 If your family loves the Jurassic period, this is the costume for you! Jurassic World 2, known as Jurassic World: Fallen Kingdom, is the sequel to the 2015- Jurassic World and the prequel to the 2021- Jurassic World 3. The T-Rex, one of the most popular “characters,” appears in the first 2 movies and is set to appear in the 3rd movie. This costume features a shirt and headpiece. Honestly, I had no idea what a porg was; I actually had to look it up. Porgs are small avian creatures that have facial features of seals, including a snout and elongated canine teeth. If you’re curious about them, I suggest reading this article from the Wookieepedia! Trust me, you’ll learn everything you want to know…and then some! Long story short, Porgs made their debut in the 2017 movie- The Last Jedi . This darling costume comes complete with hooded shirt and attached wings. 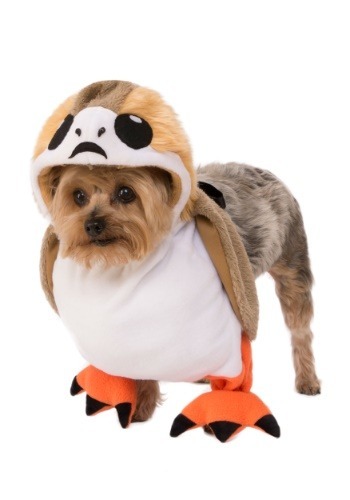 Sadly, it’ only comes in sizes S & M. I kind of think it would be funny to see a ginormous Porg! If you’ve watched the Back to the Future movie trilogy, then you probably know who Marty McFly (played by actor Michael J. Fox) is, right? Marty McFly was the 1st human to travel through time when he went back to to the time when his parents were just teenagers. He appeared in the 1985- Back to the Future, the 1989- Back to the Future Part II and the 1990- Back to the Future Part III. This hilarious dog costume comes all together as a bodysuit. Comes in sizes from XS to L.
Deadpool is a 2016 movie that is based on the character, of the same name, from Marvel Comics. Deadpool , born Wade Winston Wilson, appeared in the 2009- X-Men Origins: Wolverine, the 2013- The Wolverine, the 2017- Logan, the 2016- Deadpool and the 2018- Deadpool 2. Heads up, it’s not exactly a family-friendly movie! This hilarious dog costume will be available September 21, 2018. It will be available in S, M, & L.
Throughout the years, there have been some great movies featuring dinosaurs, from the darling dinos in Land Before Time to the terrifying T-Rex in Jurassic Park. This costume will be available September 28, 2018. It comes in S to L, so you can have any itty bitty dino or a big, not-so-ferocious one! Fun fact- The 1st dinosaur to be named was the Megalosaurus in 1824. I am seriously cracking up right now! This might be the cutest of all the new Halloween dog costumes so far! Look at that face! It comes in sizes from XS to M.
Fun fact- According to the Guinness World Records, the Tallest Snowman was built in 2008 by residents of Bethel, Maine. It measured 122 feet and 1 inch in height and was built using 13 million pounds of snow. 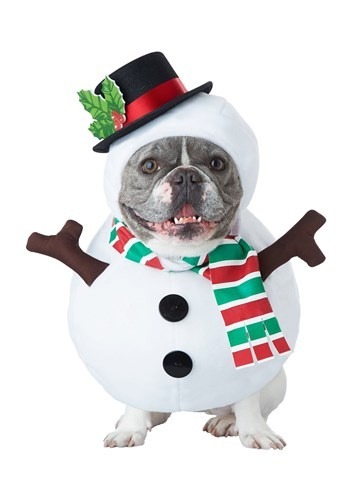 While the snowman is my pick for one of the funniest new Halloween dog costumes, this one definitely takes the prize for cutest! Definitely brings on all the awwws! It comes in sizes from XS to L.
Fun fact- The lifespan of pandas in the wild is 15-20 years, compared to the lifespan in captivity, which is 25-30 years. 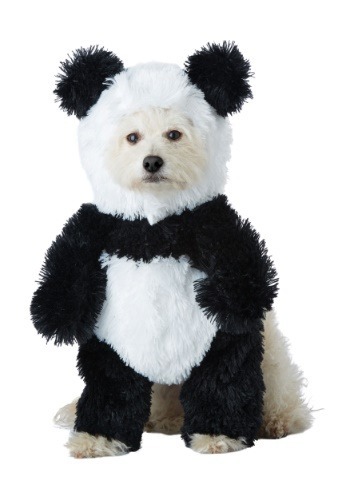 With so many cute new Halloween dog costumes, it’s crazy hard to pick a favorite. 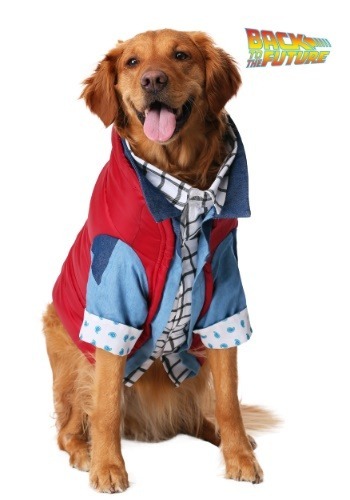 I’m in love with the snowman and the panda, but I also can’t resist the pull of the Marty McFly costume, either! One word of advice, check the individual size chart for each costume. Don’t just assume that because your dog wore a medium in last year’s costume, he’ll wear the same size in a different costume this year. 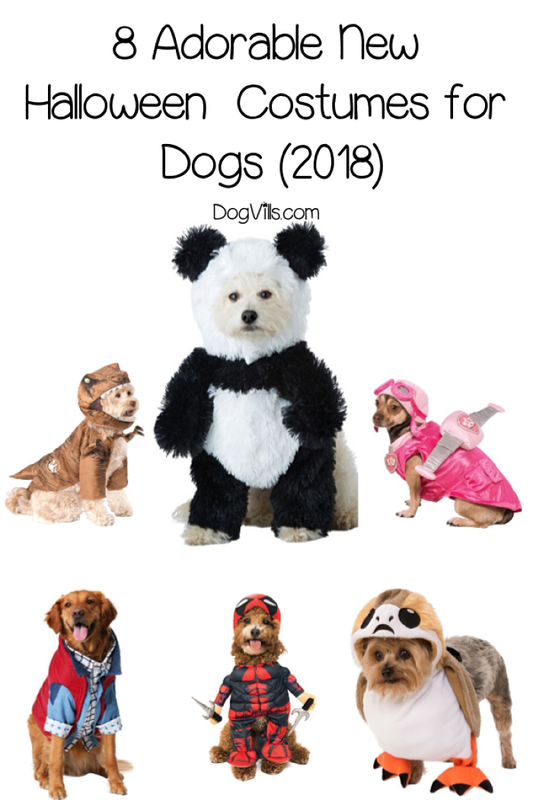 While HalloweenCostumes.com does sort of have a standard for sizes (smalls almost always fit dogs that are 30″ in length, for example), sizing does vary a bit from costume to costume. For some, you’ll need to measure your dog’s head, neck, etc. Fortunately, they prominently feature the sizing chart on each costume’s page. How about you? Which of these new Halloween dog costumes do you just adore? Tell me below!